A variety of hoods are available. The fitting price varies depending on the type of material chosen, and the general condition of the fittings, header rail etc. Prices are for standard black hoods, other colours are available on request. Please scroll down the page for seats and personalisation. If the only problem with your hood is a fogged rear window you may not need to replace it - we can usually treat the windows so you can see what's disappearing behind you again! 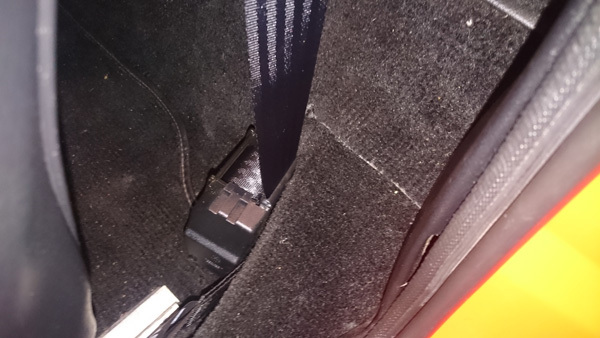 Tip: It is well worth fitting extra tenax studs to replace the hopeless velcro by the door shuts on later midgets. The cost to fit the pair of studs is £31.70. Prices correct @ 27/03/2019. 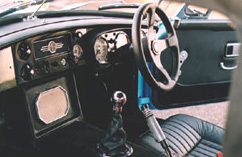 Various styles of seat were fitted to MGs over the years, and even if the covers haven't faded or worn the foams and webbings tend to collapse giving that "trying to see over the dashboard" driving position. Fortunately all of the parts are available to rebuild them to as good or better than new. All but the late rubber bumper pattern covers are available. 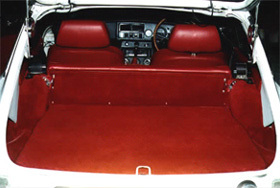 Even these later seats can be rebuilt re-using the original covers or fitting a different type such as leather. This gives a typical rebuild price of around £500 incl. for a pair of front seats. Seats can be rebuilt individually - the drivers seat obviously wears more, but the new covers are only available in pairs. For leather the typical price is £700 incl. 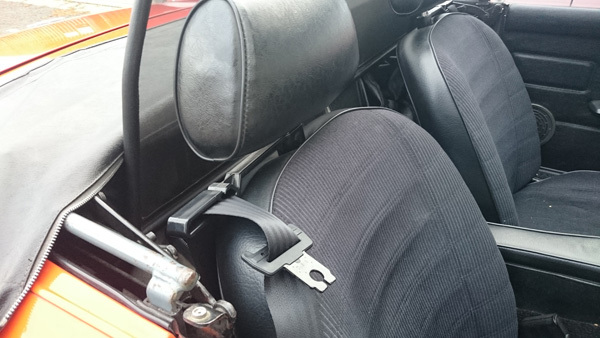 MGB seat belt conversion allows hood to be folded without catching on inertia reel type seat belts. Gives clearance for when wind deflector is fitted, offers ease of use and looks very neat with the small bodied seat belts. 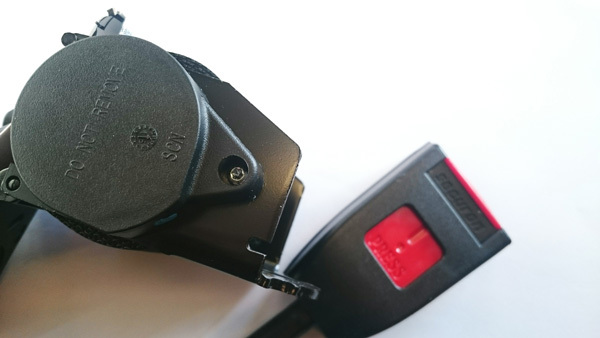 Seat belt guides also included. For model years 1970 on for those fitted with headrests. 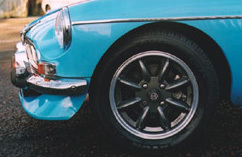 We personalised this blue MGB Roadster (white clocks, momo steering wheel, carbon look dash, anthracite alloy wheels). These are just some of the options available.